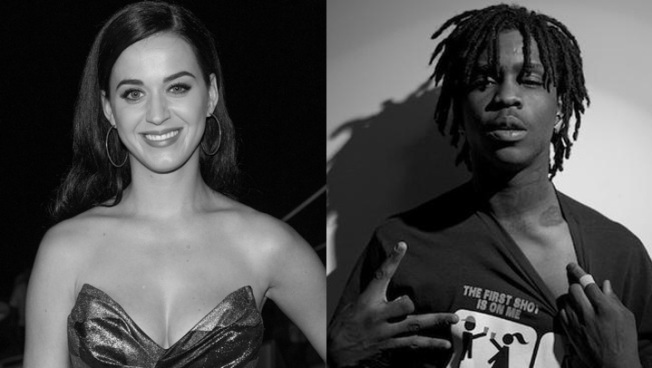 Katy Perry is letting Chief Keef know what she does and doesn't like. Katy Perry has apparently decided she doesn't want any part of Chief Keef. The pop superstar has apologized to the controversial Chicago teen rapper for criticizing the content of his song, "Hate Being Sober." Perry tweeted this week that the song left her with "serious doubt for the world." The song is essentially an ode to Keef's love of marijuana, alcohol and girls. But apparently someone told Keef about the dis, which prompted him to respond on Twitter using language we can't repeat or even link to here. Perry may have thought twice about the logic of getting into a feud with the rapper, and fired off a series of apologetic tweets to "Mr. Keef," saying she didn't know it was his song, and that she's actually a fan of his "Don't Like" video. But she didn't back down on her main point, saying she was expressing her "general opinion on our generations desire to be constantly intoxicated." Keef tweeted that he was planning to release a new song called "Katy Perry" soon -- which would no doubt be a dis record -- but later retweeted Perry's apologies and posted "I Get It Now Dont Worry," which may or may not have been directed at her. But perhaps it should come as no surprise that the two musicians have different perspectives. Perry grew up in a devoutly Pentecostal home and started out performing gospel music, while Keef makes no bones about his street cred and upbringing on the South Side of Chicago. Earlier this week, Keef was arrested outside Atlanta after security smelled marijuana coming from his hotel room, and he also served 60 days in jail on a parole violation. Perhaps the two should plan a lemonade summit to work out their differences. Maybe a duet is in the offing?